The demolition of the Painter Mansion, on the grounds of Beaumont school, will go before the CH Planning Commission on April 10. To these definitions, I’d add that stewardship is equally applicable to the ownership of historic buildings. The owner is a caretaker, not a sole beneficiary. This is why I oppose Beaumont School’s proposed demolition of the Painter Mansion. 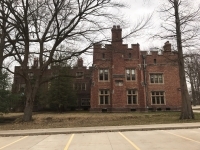 Built in 1905, the Painter Mansion is a striking example of Jacobean Tudor architecture and is significant not just for its design, but for its original owners and its contributing value to the Shaker Lakes landscape. In lieu of demolition, perhaps Beaumont should end its time as steward of the Painter Mansion and cede it to a new owner for a fresh, better use. I do not feel the assessments presented to the city are adequate or impartial enough to justify demolition. Additionally, the structure’s significant embodied energy, quality building materials, and surrounding mature tree canopy are assets too valuable to be lost to turf. With changes to the site, physical screening between the mansion and Beaumont School could result in a striking and simple solution that would allow a new owner to take over care for this historic resource. With the infusion of funds from the sale of the Painter Mansion, Beaumont could explore alternate sites for its currently unfunded new sports facility. Not every building can be saved, and, sometimes, demolition for a new use brings added value to the community at large. But what is good for the whole community and what is good for one singular institution carry different weight to me. On a case-by-case basis, I believe it is essential to ask: is this action a trade up or a trade down? In a letter to alumnae posted on its website, Beaumont notes that the Cleveland Heights campus is the school’s third home since its founding. 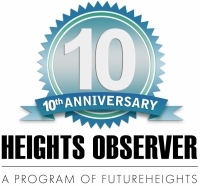 The school is a good neighbor and an asset to the community, but I hope [its leaders] will double down on their sense of stewardship in order to leave Cleveland Heights better off than how they found it. 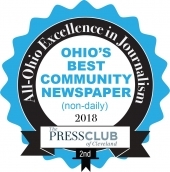 The demolition proposal will be reviewed by the Cleveland Heights Planning Commission on April 10, at 7 p.m.
Colin Compton is a first-time homeowner who is restoring a 1918 Craftsman. He has a degree in historic preservation.